Our most popular liquid dye sample set. Perfect to have on hand for creative projects. You Save $15.50 by purchasing this kit rather than buying the items separately. COMMENTS: I really like all of the specific shades in this set. Will order again! COMMENTS: So much product for your money! I ended up getting two Sets but only really needed one. COMMENTS: Creates beautiful colors in my body wash base. A little goes a long way. COMMENTS: It works well in all my projects! COMMENTS: Such vibrant colors. Love them all! COMMENTS: Another reviewer said that a little goes a long way. They were not kidding. I got these for bath bombs and melt and pour soaps. A couple drops is all that's needed to color nearly anything. The whole set is vibrant and easy to work with. I didn't have any trouble with them not mixing well in my bases. The only problem I did find is that they bleed a little if you layer them with a light colored base like I did. I made a confetti melt and pour and put the colored shavings into a Shea Butter MP base and my clear shavings color migrated into the white. Maybe I did it wrong or added too much color. I'm not sure. The kids didn't seem to care one way or another. They all like their soap. I have no idea when I will need more but when I do, I will get more of these. Wonderful and makes coloring my MP so easy. COMMENTS: An amazing pack, affordable, and a real game changer for my melt and pour embeds :) Thanks WSP! COMMENTS: This is an awesome set of colors.They work great in liquid soaps..no thinning or thickening. Really beautiful. I love being able to try different colors. They give you a generous sample size. COMMENTS: These work great in bath fizzies. And these "samples" are a really generous size. Definitely worth the money. COMMENTS: These are my favorite in all my color products. Simple to use, non staining, and a super kit. COMMENTS: I was very pleased with the different colors that were in the sample set. I feel that the liquid colors are much easier to blend into the melt and pour bases. COMMENTS: I really like these colors. It's a great choice of colors. Work very well in my soaps. COMMENTS: All of these colors are wonderful! There is just enough to color shower gels several times & soap. The colors are vibrant and it only takes a few drops to get the job done. "The best in coloring liquid formulations"
COMMENTS: These are the only liquid colors I use when coloring my liquid soap. It stays crystal clear! 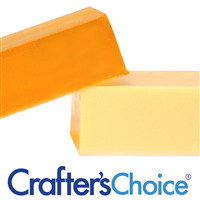 COMMENTS: Great colors, works well with the clear and shea butter MP soap bases. Great value and great color. COMMENTS: This sample set is perfect for trying the stained glass colors. They are my absolute favorite coloring product. I want to order a large size of all of them!! "Love the variety and ample sizing!" "Amazing value and great colors!" COMMENTS: I love the stained glass liquid color sample kit! The colors are gorgeous and very concentrated so they do not interfere with the texture or temperature of the MP soap base when added. COMMENTS: These are very fun to create and play with in melt and pour soap. COMMENTS: Love how colors are clear. No problems. Enjoy the easy bottles. Will definitely purchase again! • Bottles are perfect ?? COMMENTS: I bought this set just to try them out and I'm glad I did. These are really good sample sizes to give them a good try. I use them in my shower gel/bubble bath mix and they are so easy to use. The Stained Glass Liquid Colors are the way to go! 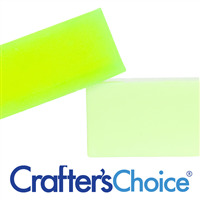 "Awesome Value, Great for Liquid Soap"
COMMENTS: I use this color set in my Liquid Soaps! I have about 5 gallons of prediluted homemade cold process liquid soap on hand, and when customers purchase a custom scented body wash / hand soap I add in scent, color, etc. as necessary. This set is amazing for this purpose! I don't go through a ton of color as it's usually just 8 oz of soap at a time, so this set is plenty and I don't worry about it going bad. I've repurchased once already, and it's just awesome for this purpose. Very true to color, and most compliment and are strong enough to work with my naturally slightly yellow tinted soap (it is a bastille liquid soap, so mostly olive oil). These also did well in clear M&P, but was very pastel in white (as expected). Totally would recommend for liquid soap makers! COMMENTS: This sample set is perfect to try the liquid colors. I don't use a lot of the liquid dyes but wanted to try some of them for certain projects I was doing and so glad I bought this set. It lasts a long time, you get a good amount for a sample set. Nice variety of colors included. "Thanks for the Kit, its perfect!!!!" COMMENTS: Great way to try out a lot of different colors at a reasonable price. COMMENTS: I use these for my bath bombs and am very pleased with the results! This sample pack was one of the best purchases I made here. I was intrigued by the liquid stained glass colors so a sample pack made sense. There is plentiful variety of colors so lots of room to mix and experiment. They made a very nice color in my bombs and a lovely uniform bath water color. No ring, no residue, and no stain on the skin. This was great because now I know what single stained glass liquid colors I will buy in the future! COMMENTS: These work really well in liquid soap, foaming hand soap & shower gels. COMMENTS: Nice colors, not too bright and love the end color quality. COMMENTS: I ordered the sample pack of Stained Liquid Color because I wanted to see how they would look in my M&P soaps. I was not disappointed and enjoy using them. They give my soaps a very nice color!!! I definitely will purchase more. • Nice selection of colors! COMMENTS: What a great little sampler set! Had all the colors I would want to try out to start with for soaps and lotions. Decent amount in secure little bottles for each color. I had enough to try in several different products so I know what colors that I'll want to buy the big bottles in! 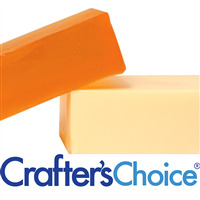 Just remember they are best for soaps and water-based formulas mostly. I made the mistake of trying to put some in a more wax-based formula without thinking, and it beaded up like food coloring would have. Works well in MANY other things too, though! COMMENTS: I love this packet for trying out all the stained glass colors! So far I love them, the ones I have been able to try and I so plan on getting bigger amounts! COMMENTS: These little "sample" bottles are great! 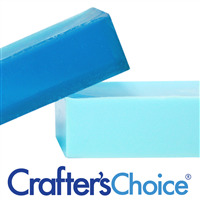 I tend to use 10 drops per 1 pound of soap and the color is so vibrant! I made a violet glitter soap out of clear melt and pour. I used 20 drops of the purple and the purple color it created was a deep beautiful purple. I'm not sure how many drops are in a bottle but I feel like these bottles would last a long time.I would recommend this to anyone. COMMENTS: It was a bang for my buck!! I love the sample set and all of the amazing colors that came along. Will order more sets my next purchase. "love the sample size packages!" COMMENTS: I tried them in MP. It doesn't say in the sample set order that the colors bleed. I was upset about that. They did do OK for bath salts though. COMMENTS: Color did not color my bath bombs very well, they activated my bombs on contact, and I had to use a lot of color. I am just happy I bought a sample pack first. COMMENTS: I love this set to bits, I've bought it 2 or 3 times so far. It's great for when you can't afford to buy the full size bottles of everything, but also great when you just want a big color variety! COMMENTS: I love this sample set. A little goes a long way. The colors are so rich and exciting. The blend well with mix and poor soaps. COMMENTS: This was the best deal every. I got this for really cheap and it came with so many options. LOVE THIS DEAL. Thank you WPS!!!!!!!!!!!!!!!!!!!!!!!!!!!!!!!!!!!!!! "Great for bath fizzies, not for cold process soap "
COMMENTS: I loved these colors for bath fizzies, the color was very vibrant! However, I was hoping that they would also work in cold process soap. I have had a pretty hard time choosing colors for soap. The stained glass seem also seem to morph, the blue turns grey and it takes so much color for such a small amount of soap, that it's really worth trying. I would absolutely recommend these for bath fizzes though and will order more just for that purpose. COMMENTS: These are perfect with a great selection of colors. Easy to have all colors on hand to create custom colors. Work fabulously with shower gels. COMMENTS: I really like using liquid colors! They are so much easier than the color blocks. These colors are beautiful and bright in clear mp and look nice in white mp too! In the white soap it gives it a nice pastel hue. COMMENTS: Great starter kit, and such pretty colors. • Easy to use and blend! COMMENTS: I loved that you got to try all these colors and finding out which ones you like. This was worth the buy. COMMENTS: This a great sample set. It has enough product in each bottle to test out the colors and do a project or two. COMMENTS: I love these colors! The sampler makes it easy to try all the different colors to find out which you like and which you don't. Must say, so far I love them all!!! COMMENTS: I plan to keep this sampler kit on hand -- it contains 12 colors, and it is easy to titrate the density of color in the product from very faint to very bold, or to add special swirl effects. Since these are liquid, you can simply mix in and immediately see results, permitting you to modify without melting. Highly recommend to have on hand. Lots of fun! "Stained Glass Liquid Color Sample Set"
COMMENTS: This is the perfect way to try a lot of different colors without wasting a lot of money and effort. Enough color in each tube for trial batches. "Hi. I am trying to avoid parabens in my M&P, bath whips and sugar scrubs. What types of colorants should I be using? Do all liquid colorants include parabens? Thank you in advance. " Staff Answer The Stained Glass Liquid dyes contain parabens because they contain water which needs to be preserved. 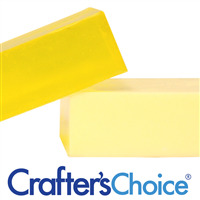 You can use the color blocks in MP soap, which do not contain parabens. The liquid pigments and ultramarines do not contain parabens. You can use any powders such as micas, dye powders, pigments and oxides. Refer to the directions for proper use in your specific product. "Can this set be used for body wash?" Staff Answer Yes, this is the best coloring to use for a body wash.
"Hi. Can these be used in a foaming face wash?thank you. " Staff Answer This can be used in a foaming face wash. One drop goes a very long way. "Can you use these for making sugar scrub cubes or is there another type of colorant that you recommend?" Staff Answer These colors would be fine to use in sugar scrub cubes. "Is this a good colorant for liquid soap?" 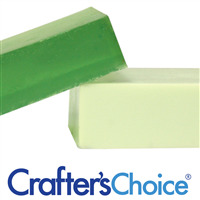 Staff Answer The liquid Stained Glass colors are the best type to use in liquid soap. "Will these work in wax melts?? I used micas in my 1st batches and when melting in the warmer the mica settles to the bottom. If not what do you use??" Staff Answer Stained Glass liquids are water based and will not work in wax. We find the oil-based micas work best: http://www.wholesalesuppliesplus.com/soap-cosmetic-colorants/mica-sparkle-powder/oil-locking-mica.aspx. If you have candle dyes at home, you can certainly use those. "Are these bleeding or non- bleeding colorents?" Staff Answer These Stained Glass colors will bleed in your products. "Are these liquid samples in squeeze bottles?" Staff Answer Yes, they are in a squeeze bottle. "Does 10 sample sizes come with this set or 11? I counted the colors listed,I count 11.I wanted to make sure so I can purchase the one that does not come with this set also.I count 11 stained glass colors and it is 11 colors listed in the kit information. In the kit description it says you get 10 colors.Am I mis reading something.I could be it is Monday." Staff Answer This kit does include 11 liquid color samples. We have adjusted the kit to reflect this. Thank you for bringing this to our attention. "Can this kind of dye be used in making candles?" Staff Answer These cannot be used in candles. They are water based. You need to use colors made strictly for use in candle wax. "Can these be used in cold process soap?" Staff Answer Yes, there are many people who use these colors in CP soap. "Do these work well in hot process soap?Some types of colorants fade away in HP soap." Staff Answer These colors are mainly used in Melt & Pour soapmaking but we do have customers who use these in CP and HP soaps. We recommend reading the reviews to see how each individual color worked in these processes. "Can this be usd in your in the shower moisturizer kit? Thank you Joanne Schwallie Joanneschwallie@ymail.com"
Staff Answer Yes, you can use liquid color for this recipe. "Can these dyes be used in sugar/salt scrubs? Will it stain skin/ or bath tub?" Staff Answer Dyes are water based ingredients. They will only work in scrubs that have water such as those made with foaming bath whip. If you use too much dye in any formula it risks staining. They are very common in bath salts and do not soak the tub when used in appropriate amounts. "can this sample set be used with lotion and shaving cream base?" Staff Answer The Stained Glass Liquid colors can be used in both lotions and shaving creams. They will mix in very nicely to these products. "Could these be used in Bath Bombs?" Staff Answer The Stained Glass Liquid colors can be used in bath bombs. Once the bath bomb fizzes, the color will also tint the bath water. Unfortunately, no. In the listing it says color will migrate if you do layers. Staff Answer All Stained Glass Liquids will migrate. These are best used in single color soaps.